Home »Yuni Puji Hastuti, S.Pi., M.Si. 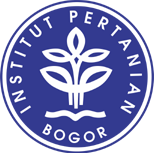 Yuni Puji Hastuti, S.Pi., M.Si. 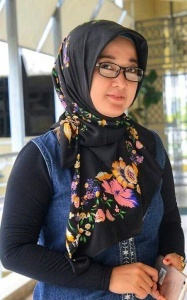 Born in 1981, Yuni Puji Hastuti is a lecturer in Department of Aquaculture, Faculty of Fisheries and Marine Science, Bogor Agricultural University since 2007. She graduated her Fisheries Bachelor's majoring in Aquaculture in Bogor Agricultural University in 2004. She completed her master study in Microbiology in 2007 and her doctoral study in 2014 in the same university. She has been studying and performing research in environment water quality, microbiology, N_cycle of aquaculture environmental, nitrification, denitrification, Dissimilatory Nirate Reduction to ammonium (DNRA), in Aquaculture since 2007, during which she has published some scientific papers in reputable national and international journals. She also interests in environmental analisys and technology management of environmental research. Optimum salinity for growth of mud crab Scylla serrata seed in recirculation systems Jurnal Akuakultur Indonesia Terakreditasi. 14 (1), 50-57. Addition of lime CaCO3 on the medium of breeding for growth of catfish seed (Pangasius japonicus). Jurnal Teknologi Perikanan dan Kelautan . Vol. 5 No. 2 November 2014: 183-190 . The Activities Of Nh4+ And No2- Oxidizing Bacteria In A Recirculating System OfMud Crab (Scylla Serrata) Culture With Different Number Of Shelter. Research journal of Microbiology. ISSN1816-4935. DOI:10.3923/jm.2017.137.145. The frequency of calcium and magnesium differences in recirculation systems for increasing production of mud crab Scylla serrata Jurnal Akuakultur Indonesia. 16 (2), 111-120. BIOCONTROL TEST Bacillus NTT 3a TO VIBRIO Harveyi ON Penaeus Monodon Fab.